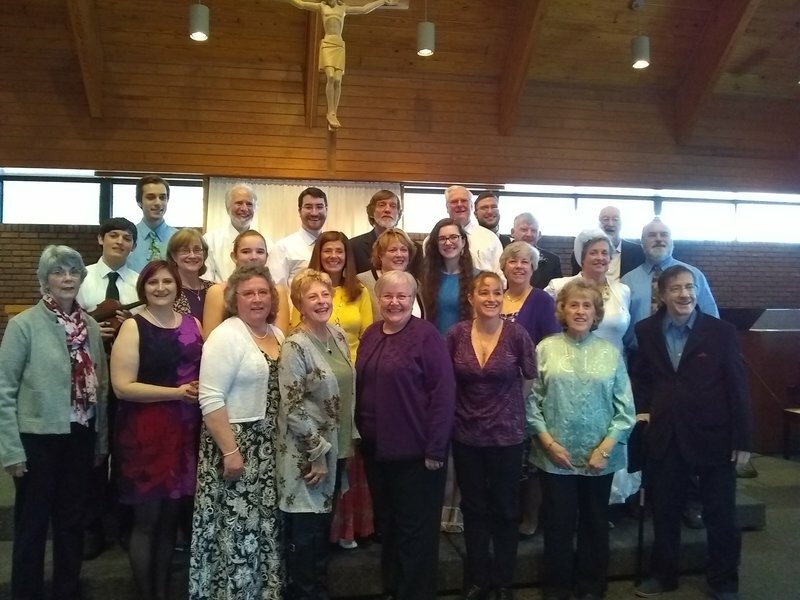 St. Mary's Choir, from Bangor, Maine, has recorded and released a new CD called 'St. Mary's Choir Favorites' featuring 8 popular Catholic songs, including Here I Am, Lord and You Are Mine. "We have a repertoire of hundreds of songs and from these selected our 8 favorites", explains Mike Arell, music director at St. Mary's Church. "Each performer gave of their time and talents. I began by recording the piano part. Then, each section had their own recording date (Sopranos, Altos, Tenors, Basses). We used a click track to keep everybody together. Guitar, Oboe/English Horn, Organ, and Clarinet were recorded separately. I then engineered the tracks to match all the parts and added additional sampled instruments. I decided not to add reverb to the original tracks in order to keep the unique sound of our church intact." The album is available for purchase at CD Baby with all proceeds benefiting the local parish.